This is a public event and there is no cost. All are Welcome. Parking will be available in the St. Francis Xavier Church (SFX) parking lot and the Rockhurst University parking garage at the NE corner of 52nd and Troost. Childcare for ages 2-12 will be provided at SFX. Please register your attendance (and reserve a childcare spot for your child if you need it) by Monday, January 28 by contacting Mariann McCormally on email or by phone at 816-381-9163. Fr. 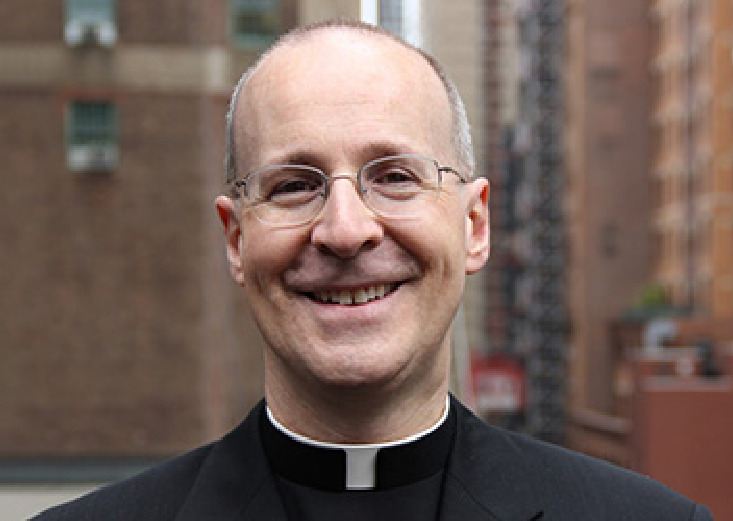 James J. Martin SJ, also known as Jim Martin, is an American Jesuit priest, a writer, and editor-at-large of the Jesuit magazine America. In 2017, Pope Francis appointed Martin as a consultant to the Vatican's Secretariat for Communications. Some of Martin's theological views, especially on homosexuality, are controversial in the Catholic Church.